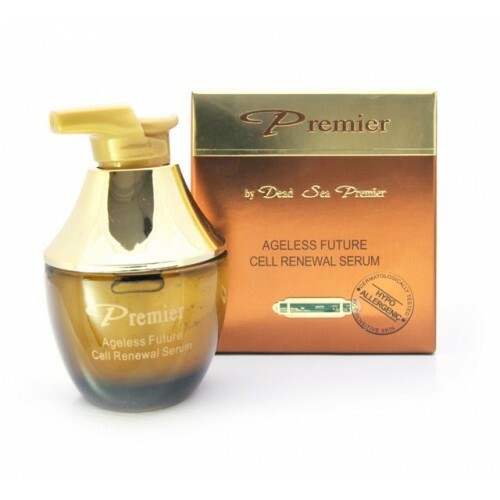 Dead Sea Premier Ageless Cell Renewal Serum 50 ml/1.7 oz will help you delay the signs of aging. With the help of Dead Sea minerals and specially formulated plant extracts, Dead Sea Premium Ageless Future Cell Renewal Serum will make your skin look and feel young and vibrant. With applying just a few drops you can make your face look years younger.